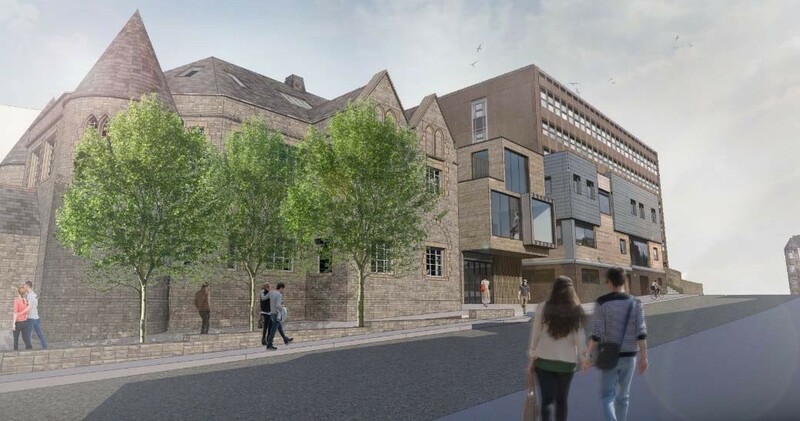 The University of Edinburgh has pledged to invest £7m in its Old Kirk Postgraduate Centre on Holyrood Road, transforming the Old Town venue into a hub for meeting, collaboration and study. A programme of refurbishment and extension will create both formal and informal study areas, as well as offering bookable spaces for postgraduate students seeking to arrange events, conferences and group work. 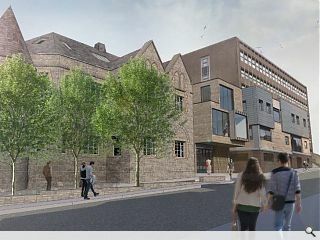 Working with Consarc Conservation the university will add a stone clad extension over three floors to aid circulation and allow the required level of accommodation to be delivered. Construction of the new centre is expected to begin by the end of the year with an opening expected by early 2020.